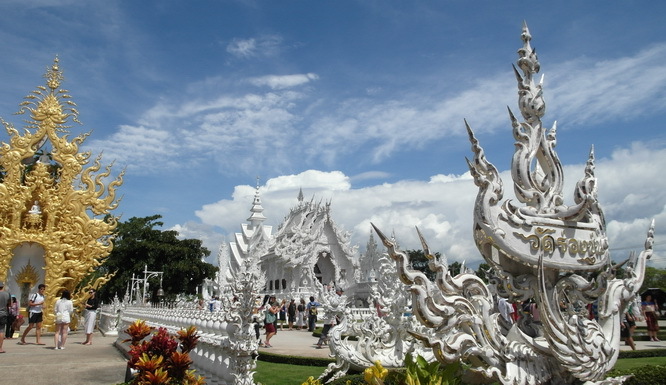 White Temple” is one of the most recognizable temples in Thailand. 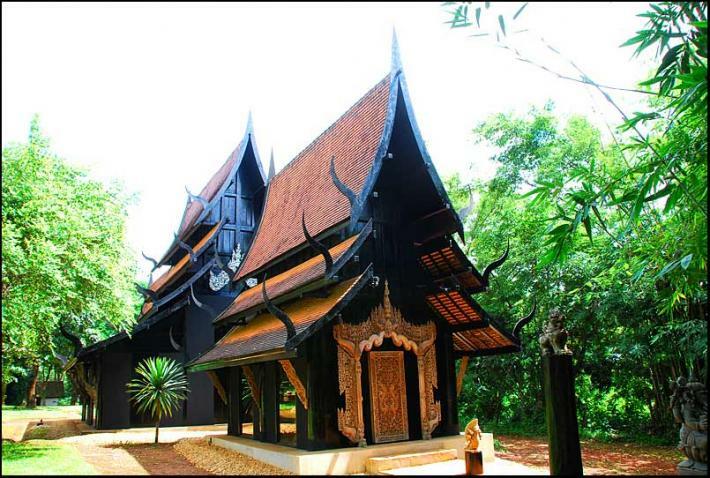 The temple outside the town of Chiang Rai attracts a large number of visitors, both Thai and foreign, making it one of Chiang Rai’s most visited attractions.At Baan Dam everything is black, or at least gives off a dark aura and each one of the 15 houses is embellished and furnished with animal remains. 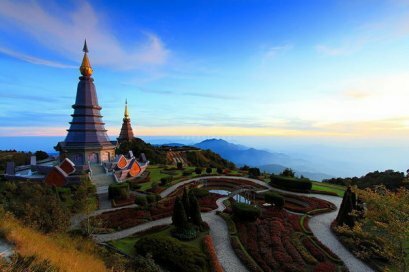 Pick up time: 07:00 am. 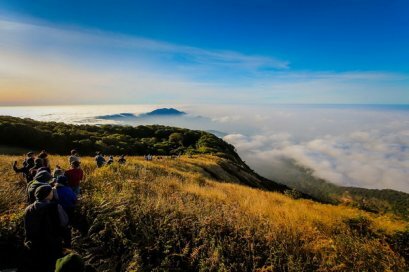 - 07:30 am. 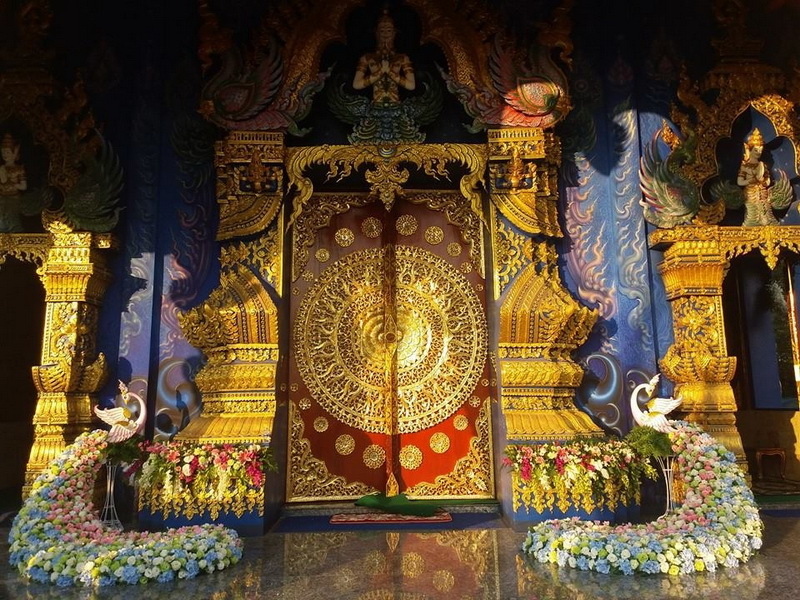 Drop off time: 5:30 pm. 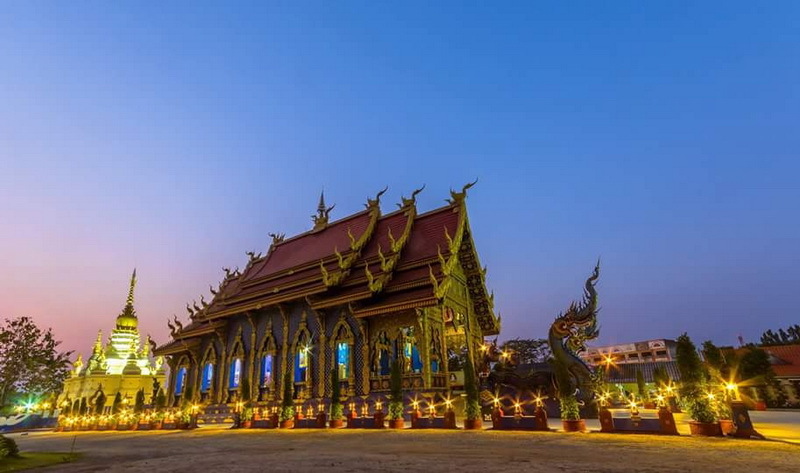 - 6:00 pm. 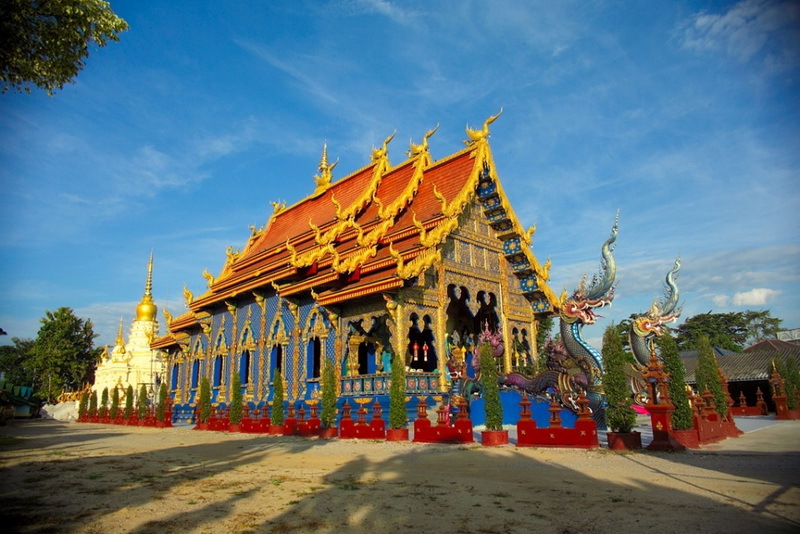 - Visit "Mae Kajan" hot spring and walk around for 15 minutes. 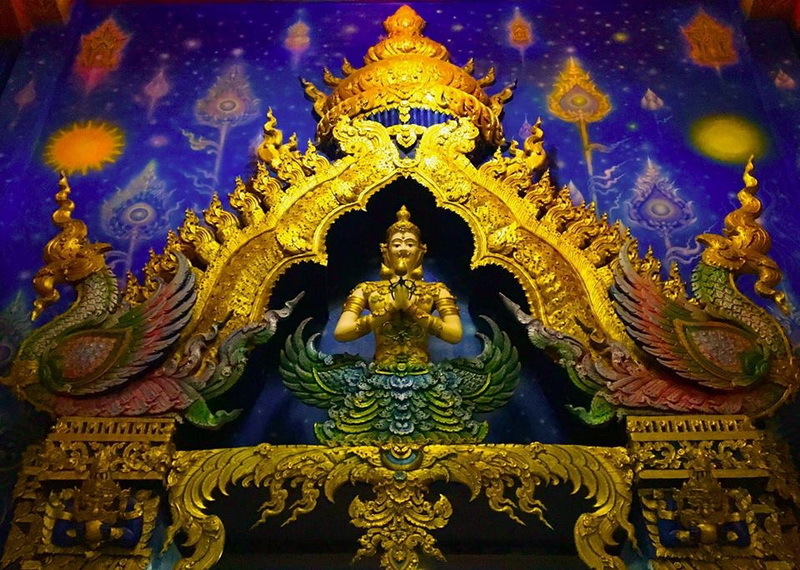 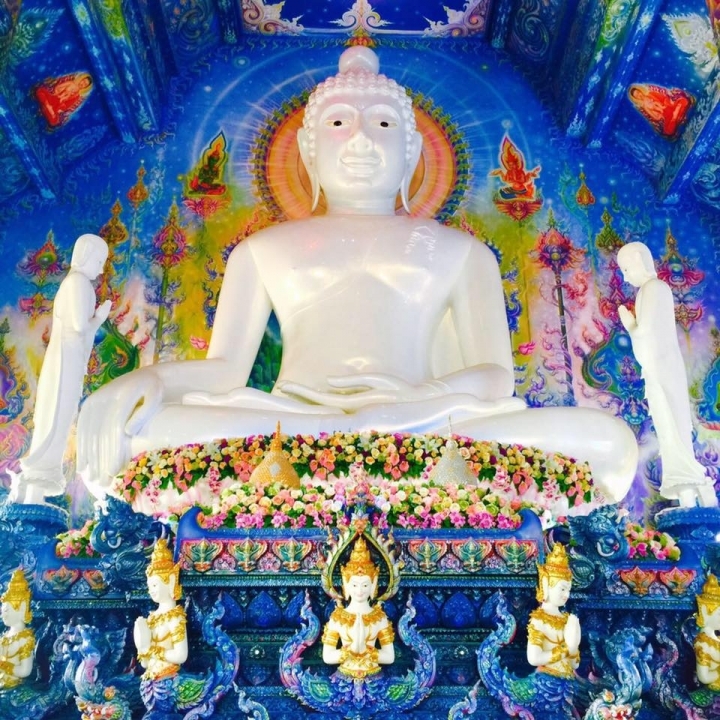 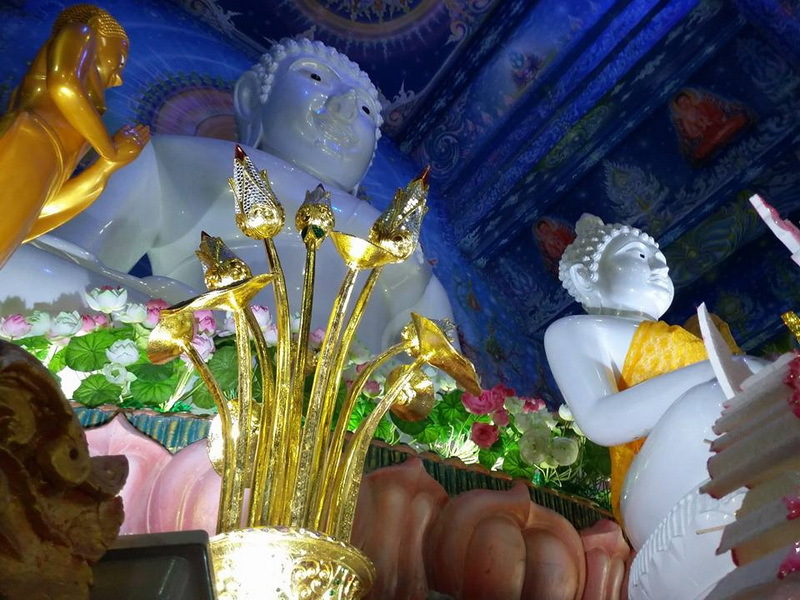 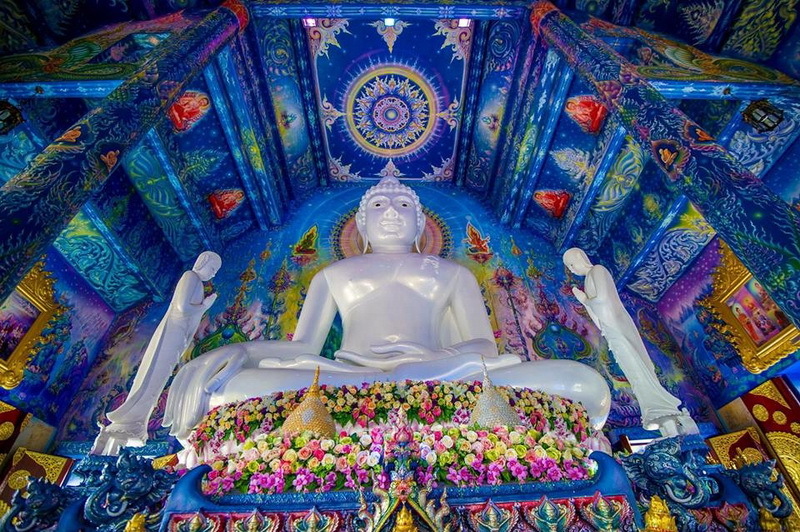 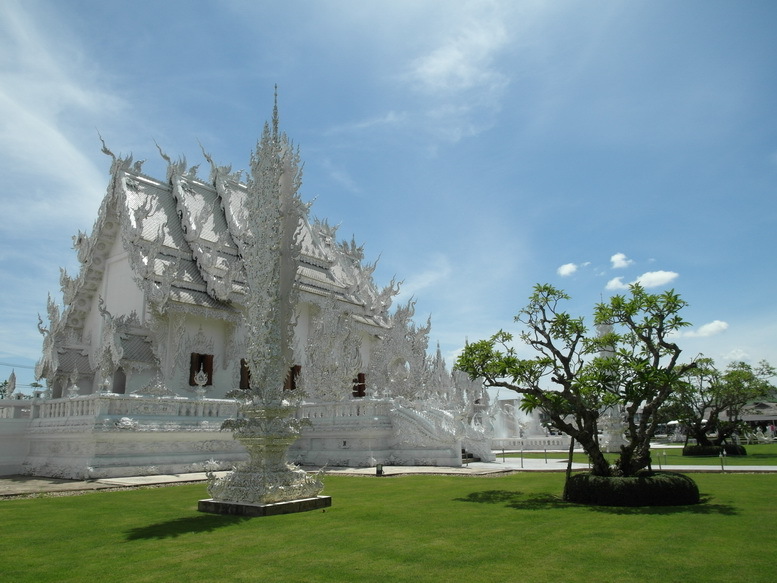 - Visit White Temple is a unique temple that stands out through the white color and the use of pieces of glass in the plaster, sparkling in the sun. 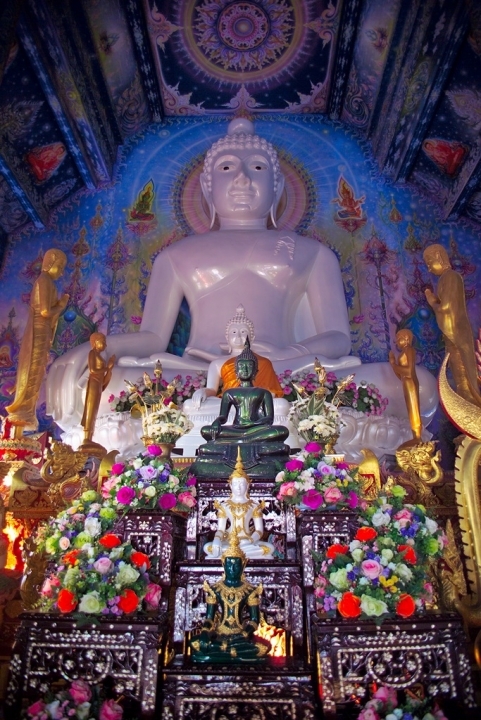 The white color signifies the purity of the Buddha, while the glass symbolizes the Buddha’s wisdom and the Dhamma, the Buddhist teachings. 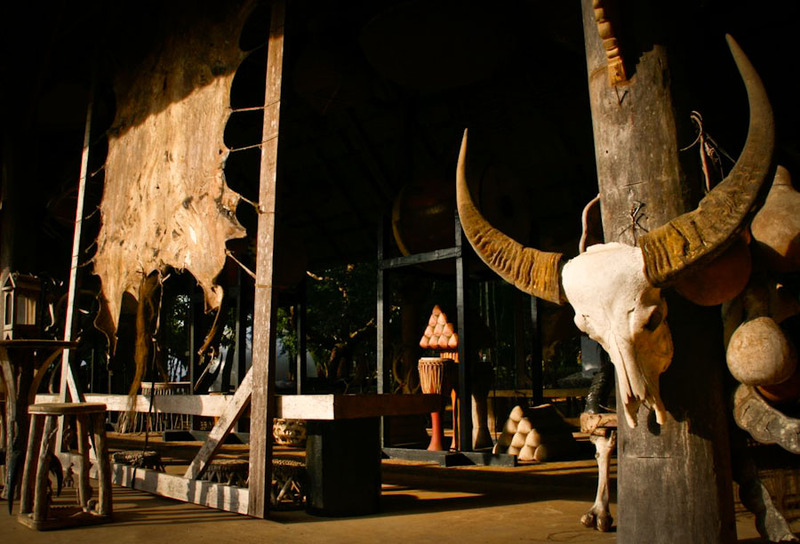 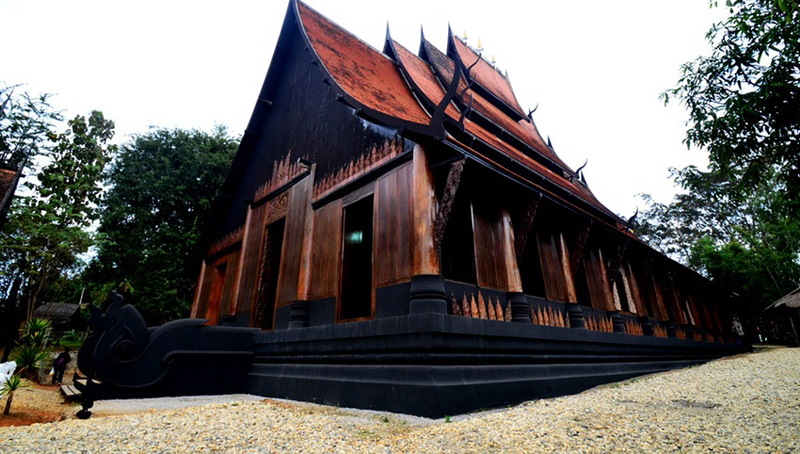 - Visit Bamdam museum the main temple is a large wooden structure. 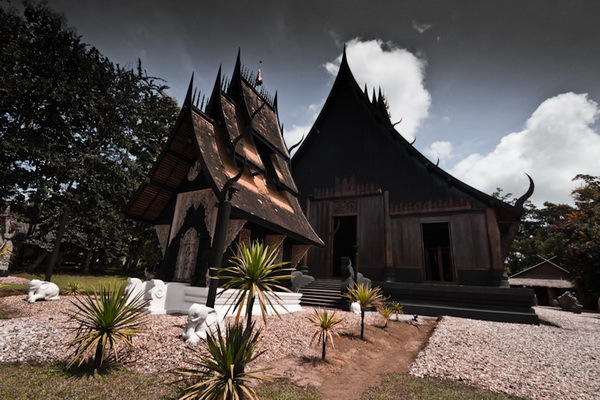 The black tiered roof has curvy metal points jutting from the sides. 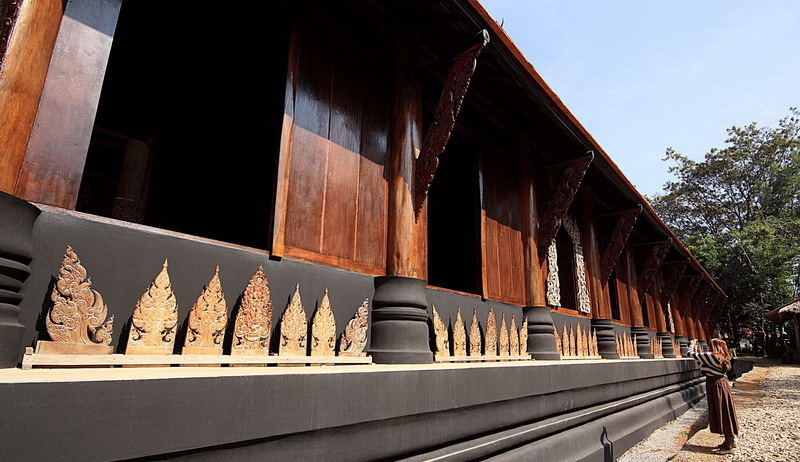 Inside, the wooden infrastructure is aesthetically exposed. 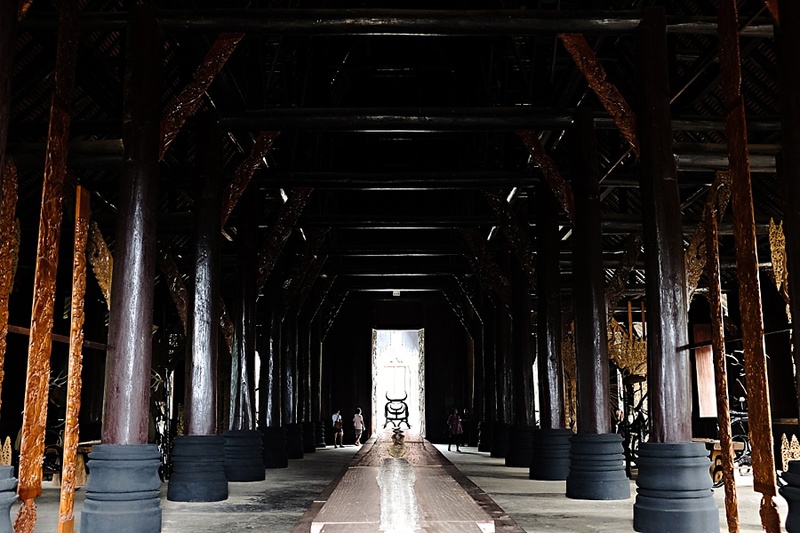 In the center a long wooden table with benches on both sides is lined with an incredibly long snakeskin runner. 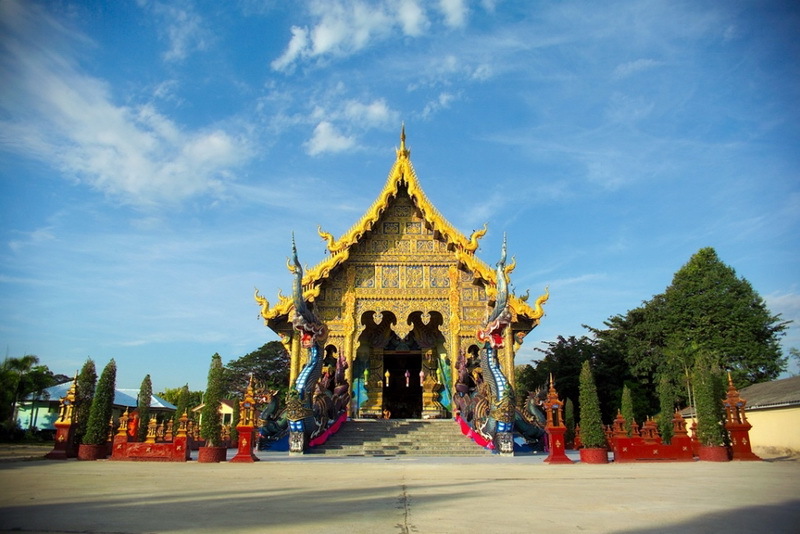 - Visit Blue Temple (Rong Sear Tean Temple). 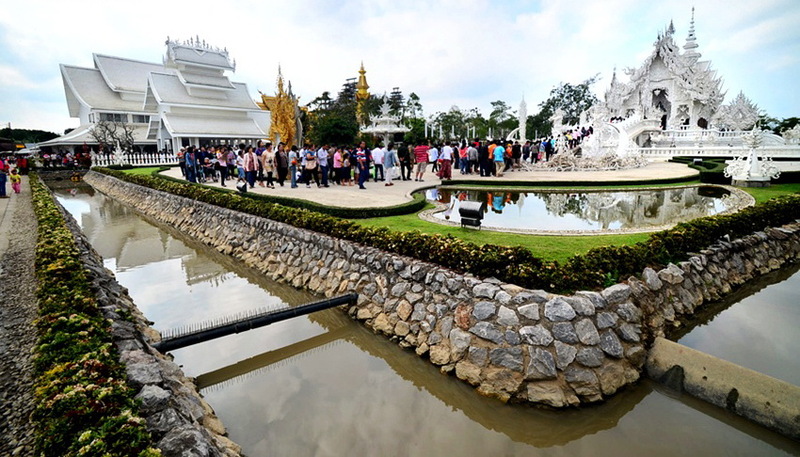 Construction started in October, 2015. 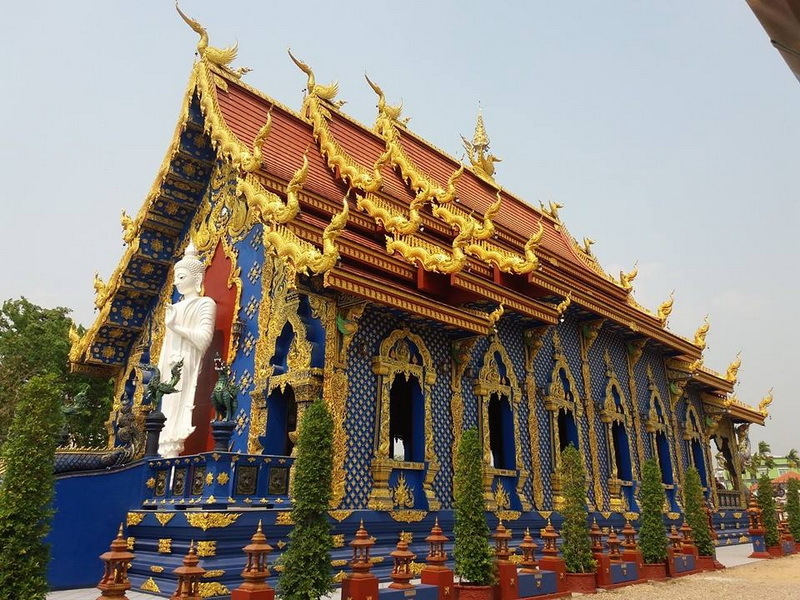 On January 22, 2016, the temple was finished.It makes the temple aesthetically very pleasing to the eye. 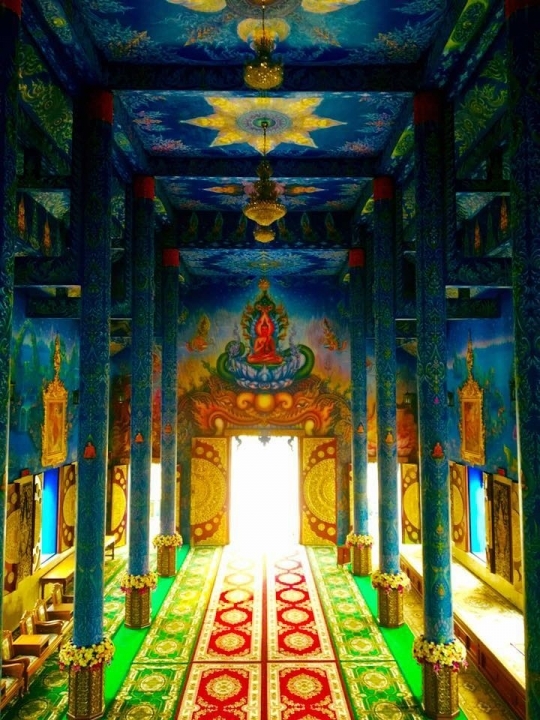 The interior of the wihan is very beautiful. 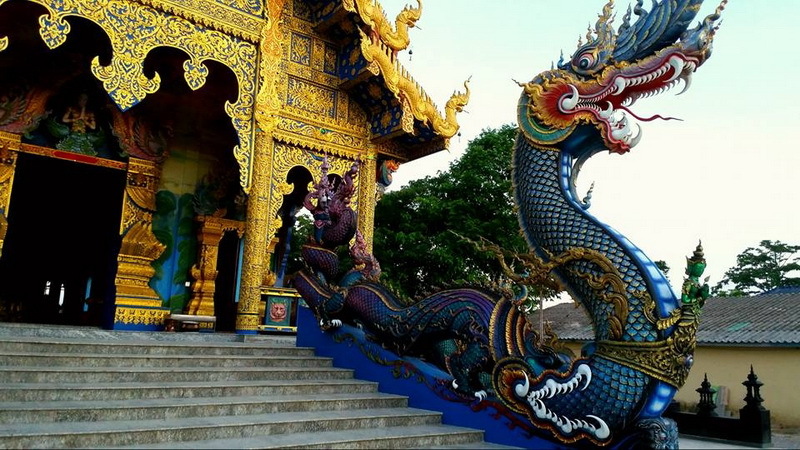 The entrance is guarded by two spectacular dragon statues. 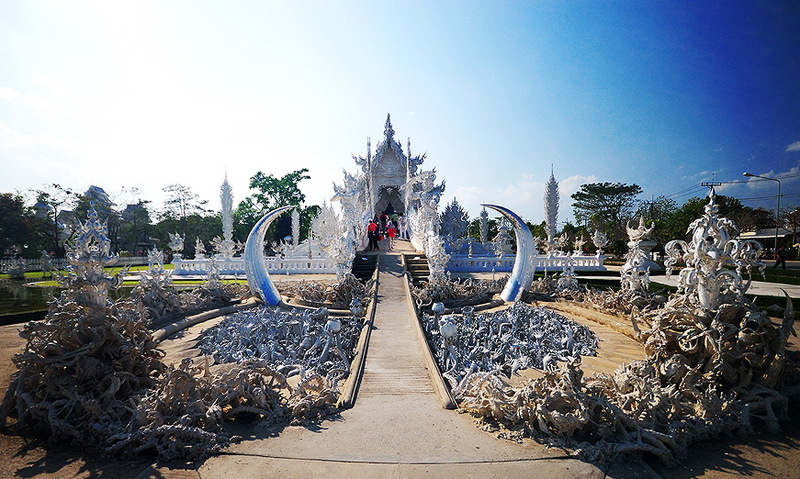 The outside is gorgeous, but the inside is even more spectacular with beautiful paintings and a huge white Buddha in the centre.The design of these dragons has been inspired by the work of national artist Tawan Duchanee (1939-2014). 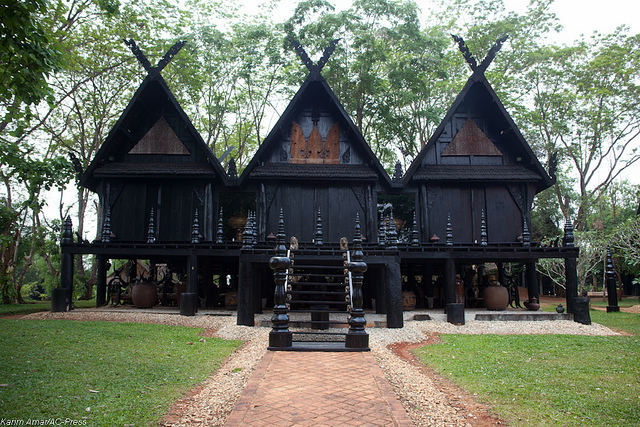 He is the creator of the famous Black House, another interesting attraction in the Chiang Rai area. 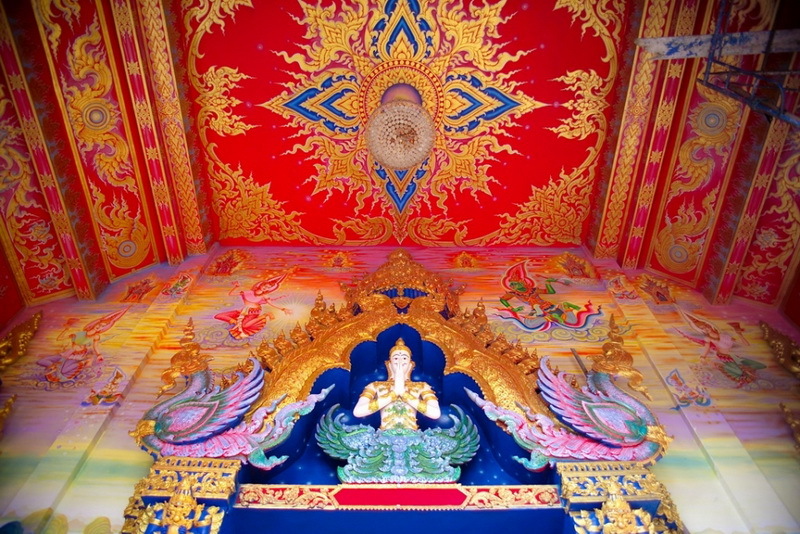 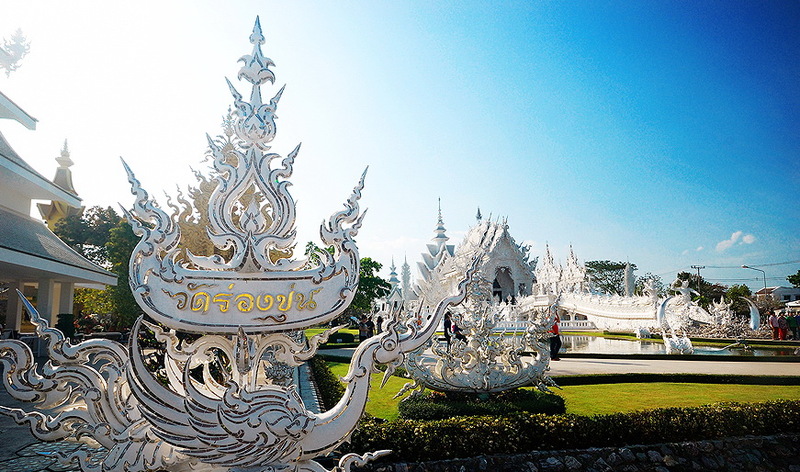 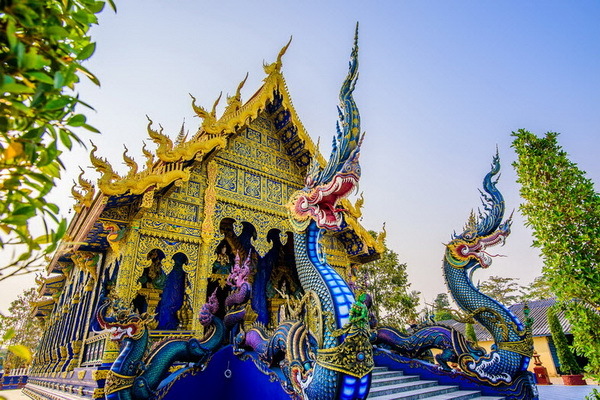 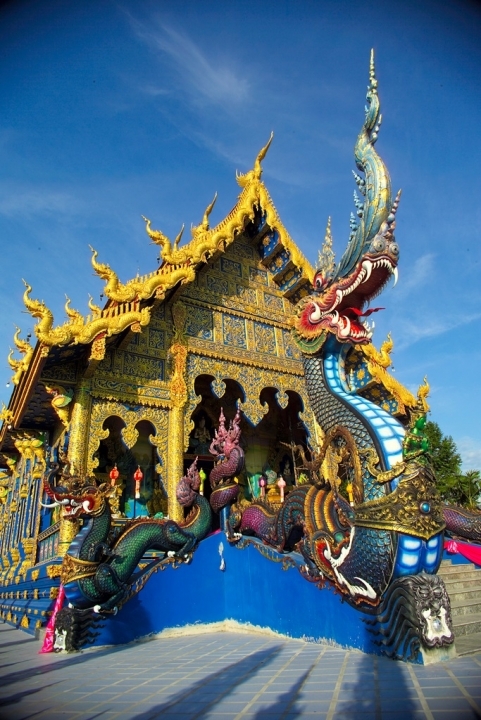 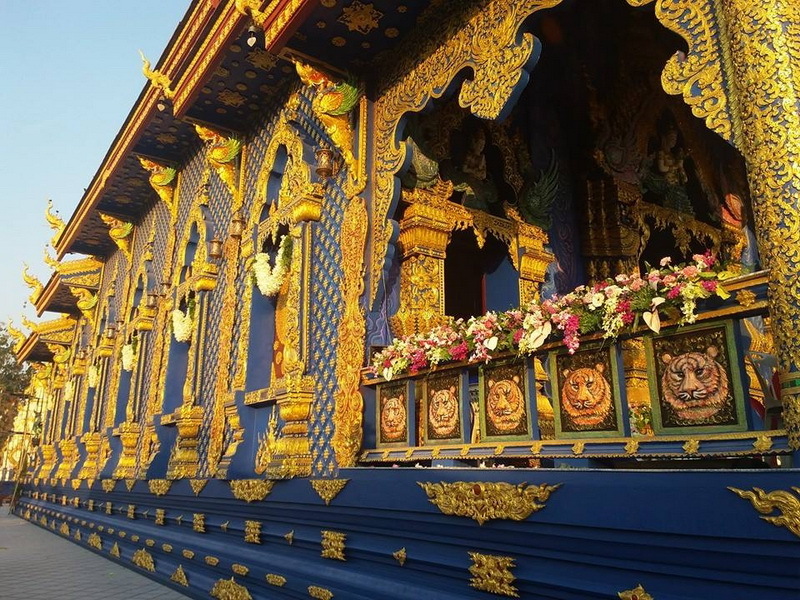 The Blue Temple Wat Rong Seua Ten has already become another attraction of Chiang Rai. 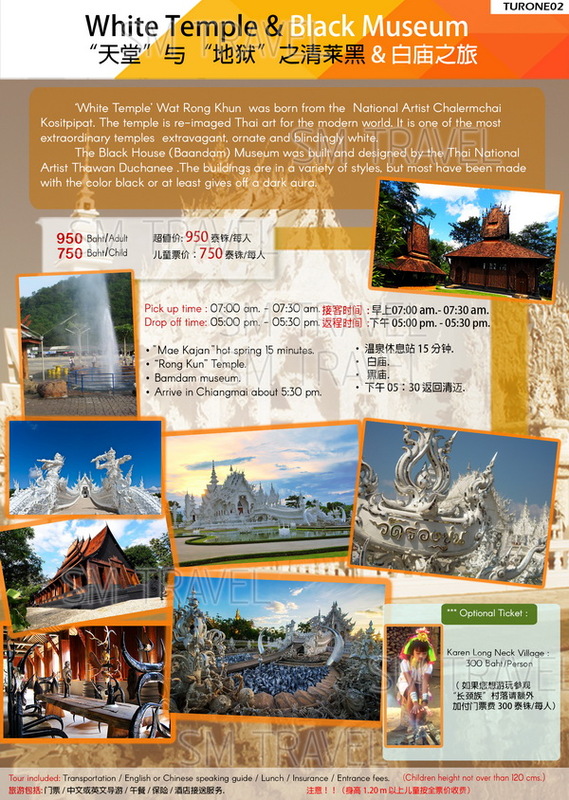 Tour included: Transportation / English speaking guide / Lunch / Insurance / Entrance fees. 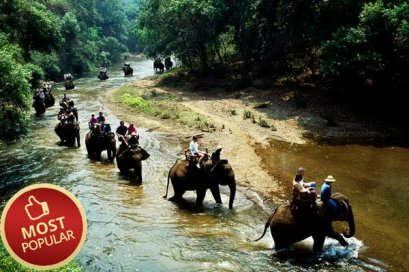 The Maetaeng Elephant Park offers the greatest, up-close elephant experience in Northern Thailand. 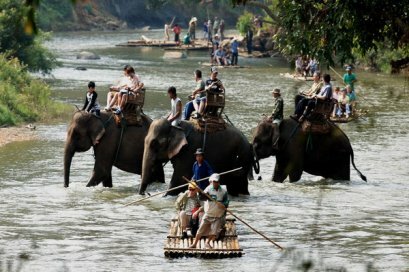 Experience, Elephant Show, Bamboo Rafting, Ox Cart rides.Visit women of Karen Tribe They are wearing rings around their necks.